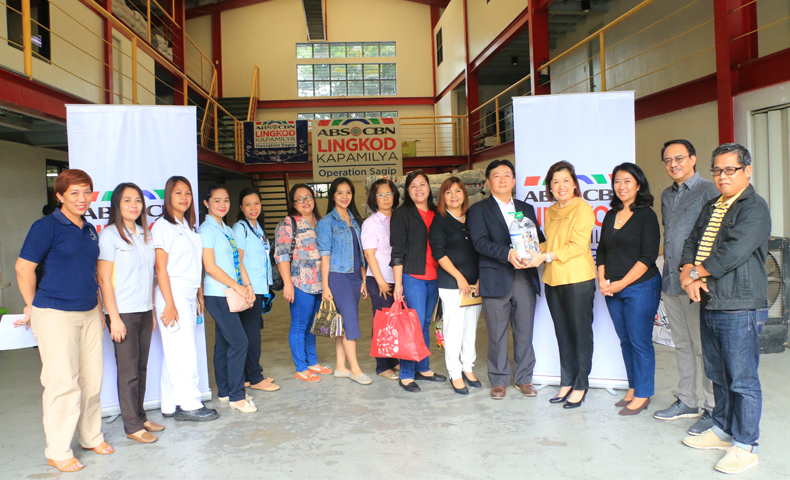 Laguna Technopark Association, Inc., a group of locator companies in Laguna Technopark, donated to Operation Sagip to help families affected by the recent conflict in Marawi. Ana Marie Molano, LTAI’s General Manager shared that 63 of of their locators and lessees supported the initiative by giving cash donations of one peso and more. “Piso plus plus plus (Piso +++) for Marawi is a corporate social responsibility activity of our association primarily because we saw Marawi was really devastated during the siege,” she said. “We chose Operation Sagip primarily because we know the advocacy of your organization and we know that whatever we give to you, will reach its beneficiaries,” Molano added. more locators, to properly dispose or recycle their used lead-acid batteries and used-oils as most of their members are automotive providers. Turn-over of LTAI to Operation Sagip. The turn-over was headed by Haruyuki Kurihara (Assistant General Manager, Solid State Drive Department of Toshiba Information Equipment Philippines, Inc.), Ana Marie Molano (General Manager of LTAI), Susan Afan (Managing Director, ALKFI), Noemi Samson (Chief Finance & Services Officer, ALKFI), Higino Dungo, Jr. (Operation Sagip, Program Director), and Marcel Riñon (Operation Sagip, Deputy Director). To date, Lingkod Kapamilya’s Operation Sagip has reached more than 24,000 families who were affected by the conflict in Marawi. A telethon was also launched in ASAP last November 12 to raise funds for rehabilitation projects. Rehabilitation plans include building houses in partnership with Tindig Marawi, construction of schools, and providing livelihood projects.